Hemophilia is an inherited bleeding disorder caused by a deficiency or defect of one of the proteins necessary for blood to properly clot. These proteins are known as clotting factors. Hemophilia affects one out of every 7,500 males. Von Willebrand disease is another bleeding disorder that affects as many as one in every 50 individuals -- both men and women. People with bleeding disorders do not bleed faster than others: they bleed longer because their blood does not clot properly. Symptoms include bleeding into joints and muscles which over a period of time can lead to chronic pain, arthritis, deformity and disability. In addition, bleeding occasionally occurs in the brain and other vital organs which can be life threatening. There is no cure for these chronic and sometimes debilitating bleeding disorders. Treatment is aimed at replacing the deficient clotting factor. This is done via infusions of concentrates containing the needed factor. Many patients are on a home infusion program whereby they self-infuse the clotting factor concentrate when they bleed to prophylactically prevent bleeding. This ensures prompt treatment, and gives them greater independence. The costs of treating severe hemophilia are high, sometimes $60,000 to $200,000 per year or more. Prevention, early recognition, and prompt treatment of bleeds can help keep these costs down as well as improve overall quality of life. People affected by bleeding and clotting disorders are facing a variety of issues today, including increasing threats to the ability to access high quality care. These are challenging times for people in the bleeding and clotting disorders community, but becoming educated and working together, we can make a difference. The UHF was instrumental in getting a bill passed through Utah's legislature to provide assistance to those who are facing catastrophic medical expenses due to a bleeding disorder. On a national and international level, research is ongoing to develop cures for bleeding disorders. Realistically, they are years away from a lasting cure. First Step families are those with young children who have been newly diagnosed with a bleeding disorder. They gather at least twice a year to share stories, swap techniques that work to stop bleeds, and in general, support each other through friendship and a common desire for healthy and safe children. 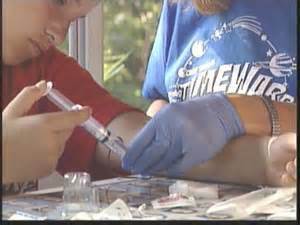 The Utah Hemophilia Foundation offers various educational events throughout the year. Topics range from the basics of bleeding disorders, coping with bleeding disorders, to dealing with financial and insurance challenges. Community members attend lectures given by experts, participate in interactive workshops, learn more about products and services from vendors, and network with each other. Each year, kids with bleeding disorders, ages 8-13, gather at Camp for a week of supervised swimming, archery, and other fun activities. At camp, they expand their ideas of what kids with bleeding disorders can do, learn to manage their disorder, and connect with other kids just like them.